In only their second meeting ever (both in Tampa), these two college football powerhouses gave the fans another exciting game. 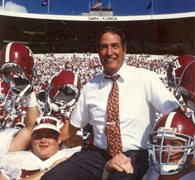 It would also be the final game for Bama coach Gene Stallings. The Wolverines tested the Alabama defense repeatedly with solid drives, however, Bama would not break. In what was a day of big defensive plays, fittingly an Alabama defensive play would change the course of the game. With Michigan driving deep in Bama territory late in the third quarter, Wolverine QB Brian Griese tried to toss a pass over the blitzing defense when Dwayne Rudd intercepted the pass and returned it 88 yards for the go-ahead touchdown. The momentum changed instantly. 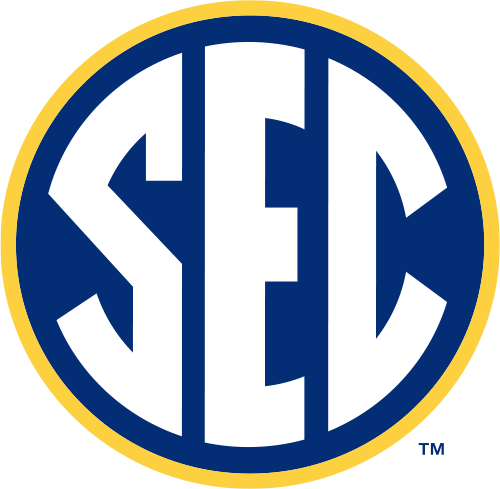 RB Shaun Alexander added a 46-yard TD run in the final period to take an eleven point lead and Bama held-off a Michigan comeback in the final minutes to preserve the win. Stallings ended his college coaching era with a victory and a ride off the field on his players shoulders. Overcoming a heartbreaking loss, Brian Griese and the Wolverines would go on to win the national championship the next season.